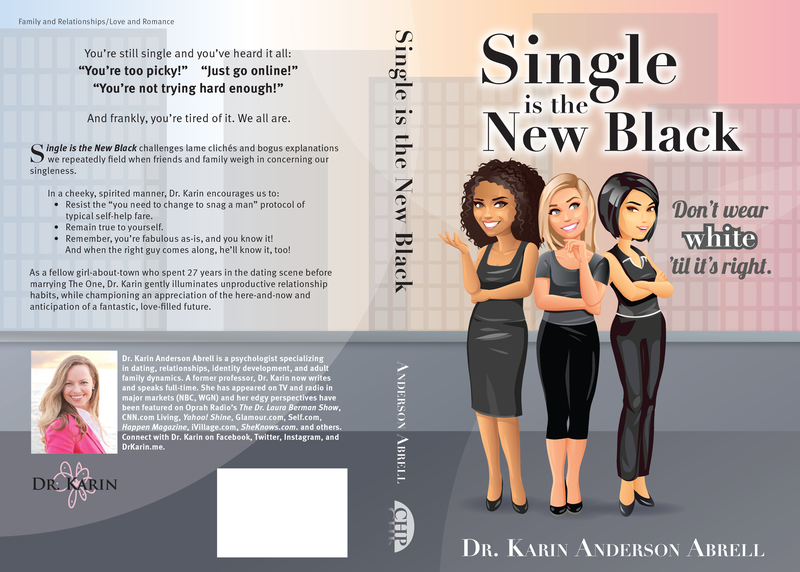 Book Cover: Single is the New Black | Klocke Design Inc. 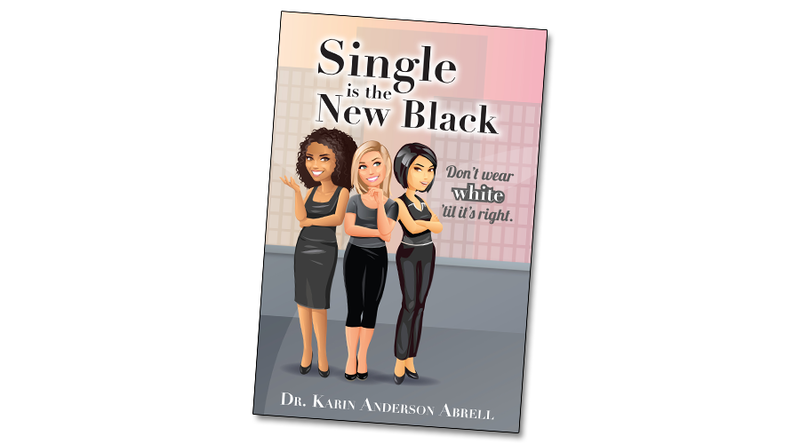 Single is the New Black is the follow-up to Karin Anderson Abrell’s book It Just Hasn’t Happened Yet. The book challenges lame clichés and bogus explanations that women repeatedly hear when friends and family weigh in about being single. The client wanted a cover that showed approachable, yet beautiful women. We chose an illustration style that was friendly and fun. The figures are stock illustrations, customized by me and composited with background imagery of my creation. 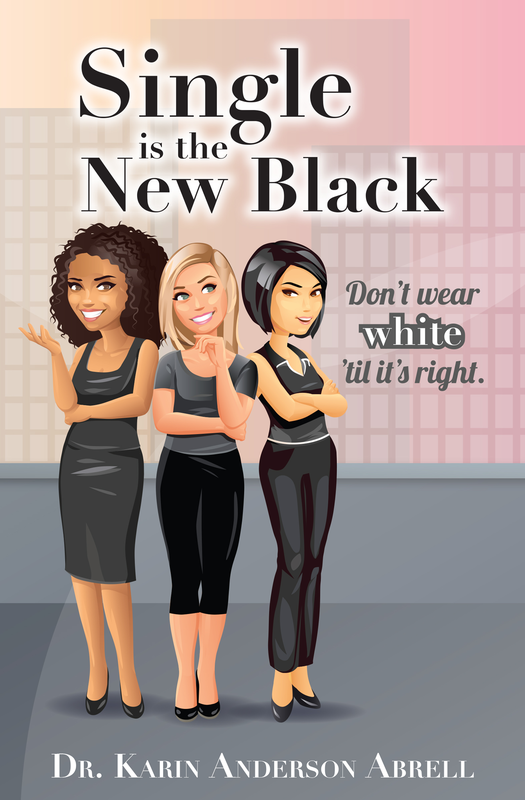 Learn more about the author at www.drkarin.me.